Frosty. That’s the word to describe this morning. Which would not be surprising if you weren’t in the world’s driest desert. It’s a stark contrast to the previous days of near perfect, sunny 34 degrees which is more of what you would expect and what makes the Atacama a travel hotspot all year round. But this morning is all about turning whatever scarf like or excess material we have on our persons into a headwrap of some sort, leaving not much more than our eyes and nose exposed to the elements. 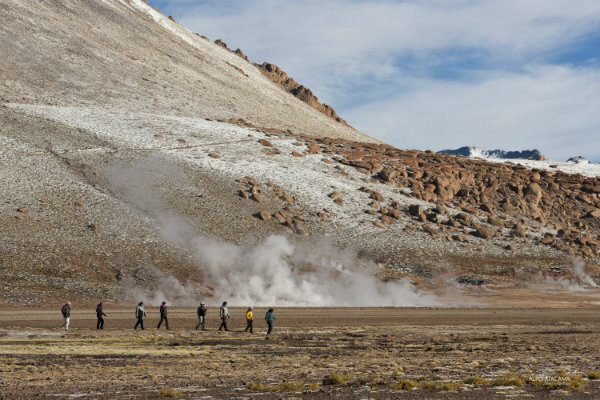 It’s close to 5am, not a time holiday makers willingly get out of bed for, but Luis, our guide promises us the spectacle of ‘grandpa crying,’ what the locals call the geyser field of El Tatio, will be more than worth it. Even in the pre-dawn darkness, you can hear the mist and sharp hisses from the ground below and feel the humid air of the surrounds. 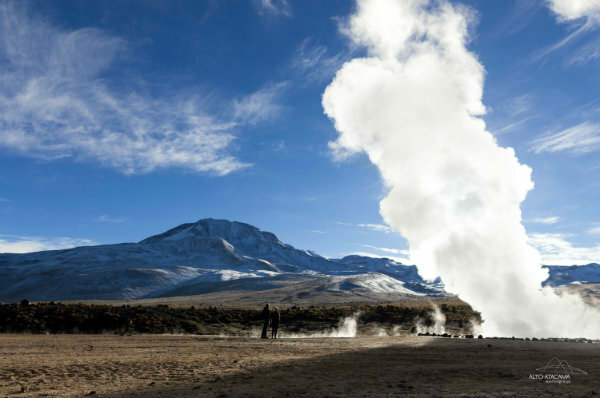 There are between 80 to 100 geysers in Tatio, which is small by Yellowstone standards, but what makes it distinct is its very location within the desert which seems to defy all logic. Except that unbeknownst to many, the Atacama Desert is an oasis nestled between mountain ranges and volcanoes, some of which are still active. Which makes this a geothermal paradise, and also one of the highest geyser fields in the world located at an elevation of 4,420 metres above sea level. That’s why we’ve waited two nights before visiting here, to help acclimatise, as well as to see the many of the other-worldly sights within and around Atacama. As night disappears into dawn, the landscape magically transforms before our eyes. A myriad of colours envelops our frame of view and makes everything it touches – the imposing mountains, sweeping arid plains and tufts of grass in the distance, sparkle. This entire panorama is of course separated by the rising tuffs of steam clouds in between. After some time wandering – more like playing a game of ‘don’t step on the geyser’ through these thermal fields, Luis calls us over for breakfast. “Who wants eggs?,” he asks. To which a handful of us agree. 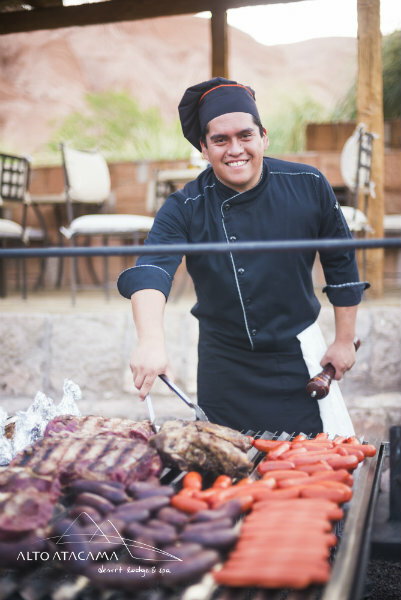 Luis has been greeting us with a great big smile for the last few days here at Alto Atacama. He’s lived in Atacama all his life, but only guided for the last two years which is surprising, given both his knowledge of the area, and his level of English. He started off maintaining the gardens you see, working his way up through the hospitality school attached to the hotel that trains them thoroughly to deal with the requirements of five star clientele. And his love of all plants shows. Pointing out the smallest and most seemingly insignificant of vegetation and explaining at length how important it is, what animals survive on it and how it helps the nearby fragile ecosystem flourish. But this morning, Luis is showing off his extreme Atacaman cooking skills, and within minutes we have geyser boiled eggs and warmed milk to accompany our delightful morning picnic spread of pastries, fruits, cheese and more. On the way back to Alto Atacama, we stop at Machuca, a traditional shepherd’s village where the locals live in adobe and thatched houses. 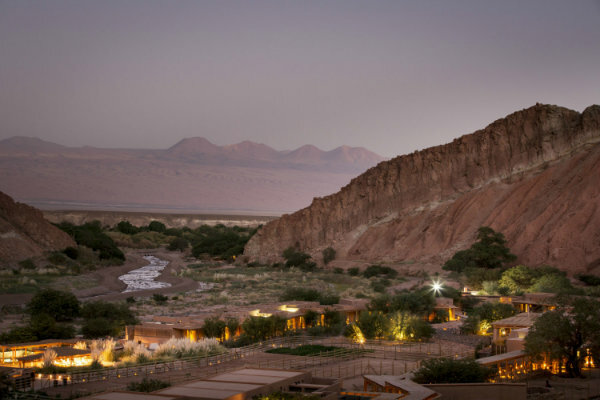 Our home away from home, Alto Atacama is so sustainably designed into the rocks of the surrounding Catarpe Valley, it seems to creep up on you as you arrive back to base. It’s Saturday, and the outdoor fireplace we’ve been enjoying a cheeky and delicious Chilean glass of vino in front for the past few nights has been turned into the most impressive of ‘asado’ – barbecue. 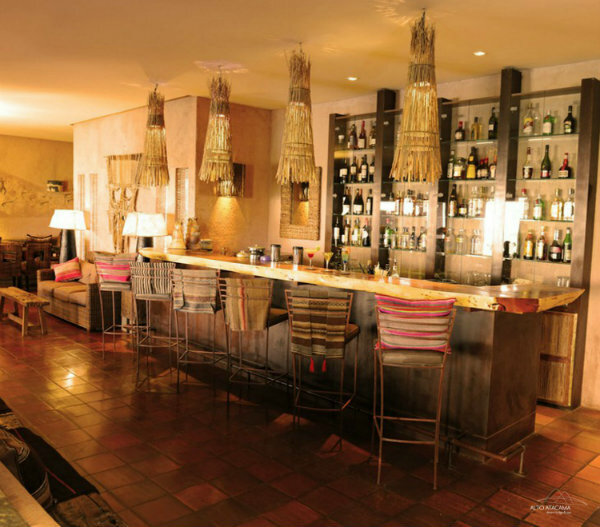 The food at Atacama is all locally sourced, and a fusion of Mediterranean/European cuisine and traditional Chilean dishes with a dash of local Atacameno. 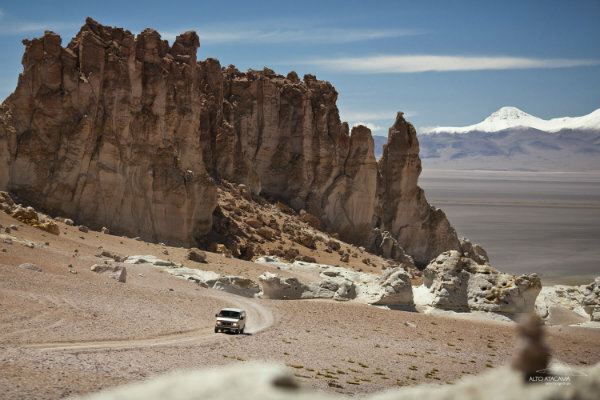 Another Atacama excursion is programmed for this afternoon, they’re included as part of our all inclusive program and divided into different categories – Cultural, Contemplative, Astronomical, Adventure or Expedition depending on your interest or how much you want to challenge yourself. On our arrival day, the local expedition leader helped to go through the more than 30 Atacama tours available and tailor something suited to our level of physical ability. After a big morning and some intense days – mountain biking through magnificent Moon Valley, hiking up the Toco Volcano just to name a few, the idea of a ‘spa tour’ and a treatment at Puri Spa sounds about as just as much energy as necessary to expend. 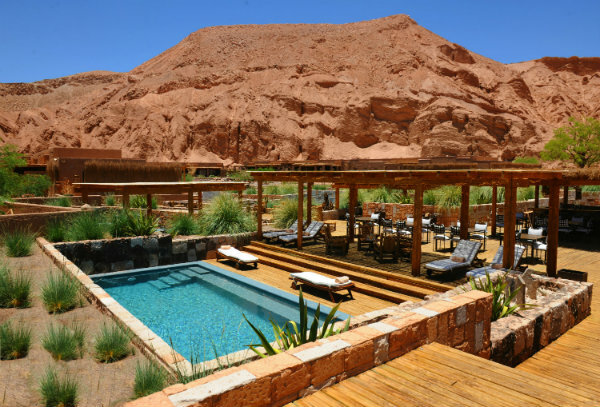 Alto Atacama has six outdoor swimming pools which have been beckoning since our arrival, so it would be remiss of us not to rest by each of them. And it’s not just about enjoying the sun, the beauty and energy of the beautiful rocky landscapes feel so much more powerful when you’re completely immersed in your environment and relaxed. A luxury desert spa was always part of the original plan for this hotel. 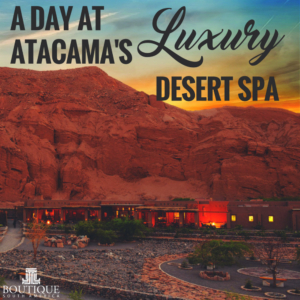 The owners worked tirelessly to integrate as much of the outside natural beauty into the hotel’s interior, and Alto Atacama is one of the few luxury lodges in the desert to include some treatments as part of their all inclusive hotel and tour programs. Puri Spa also has a complimentary steam and sauna room. Enough said. One Altiplanic Mud Wrap made of a mixture of local natural clay, honey and mineral water coming up. 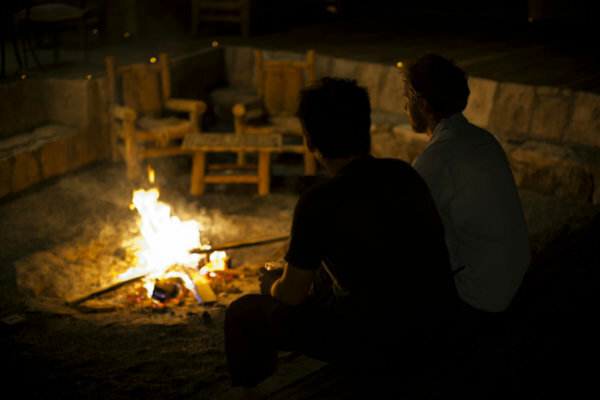 It’s hard to describe how desert nights can be just as beautiful as the days in the Atacama desert. Because that’s when the stars come out to play in their thousands, lighting up the sky with their own brilliance against the never ending horizon. Even if astronomy ain’t your thing, you’ll feel closer to far away universes than ever before. 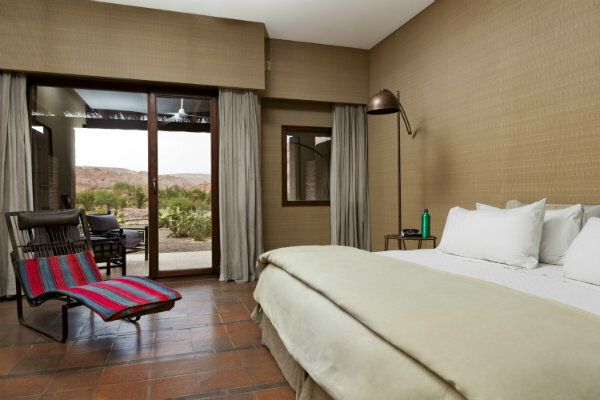 And as much as you want to stay outdoors, your rooms at Alto Atacama are just as inviting. The Quitor Room is intricately styled in something of a ‘desert chic’ kind of way. If you haven’t had enough of admiring the skies, you can sit on your balcony for as long as you like. For this is the paradox of Atacama. That in somewhere so still and sparse, you can find so much depth and wonder. This is nature at its most extreme and beauty at its wildest. A place of effortless peace in a busy, ‘always on’ world. 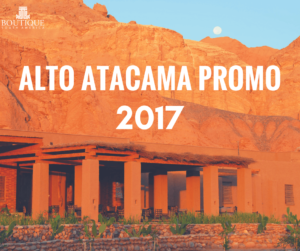 This post was written in conjunction with Alto Atacama. Get the best tours of South America across 7 countries delivered straight to your inbox. Filled with great visuals, country maps and more than 30 pages of experiential and exclusive travel programs.